Marine ecologist researching the vulnerability of seabirds to offshore energy activities. Emma is a postdoctoral researcher working on the EirWind project, an industry-led collaborative research project co-designing the opportunity around the sustainable development of Ireland’s marine resources, using offshore wind as the catalyst for innovation and impact. Emma’s research focuses on the risk to seabirds from offshore wind development in Ireland by assessing their distribution and potential vulnerability. Emma’s broad research interests are in studying and understanding species distributions, and their potential overlap with and vulnerability to anthropogenic activities, particularly in the marine environment. 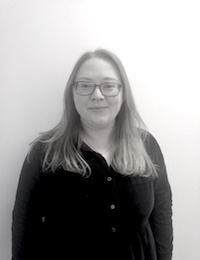 Emma has a Bachelor’s degree in Zoology from Trinity College Dublin and an MSc in Ecology, Evolution, and Conservation from Imperial College London. Her MSc research assessed the distribution of Blue Hake in South Georgia and potential population impacts due to bycatch. Emma recently completed her PhD at UCC on the distribution and vulnerability of seabirds in Irish waters, assessing potential risks, particularly from the petroleum industry, and the status of their conservation protection. The project was funded by the Irish Petroleum Infrastructure Programme (PIP) in order to develop a tool to predict seabird vulnerability to oil pollution. Further information about Emma can be found on Google Scholar Profile, LinkedIn, EirWind and North East Atlantic Predictive Seabird Atlas.